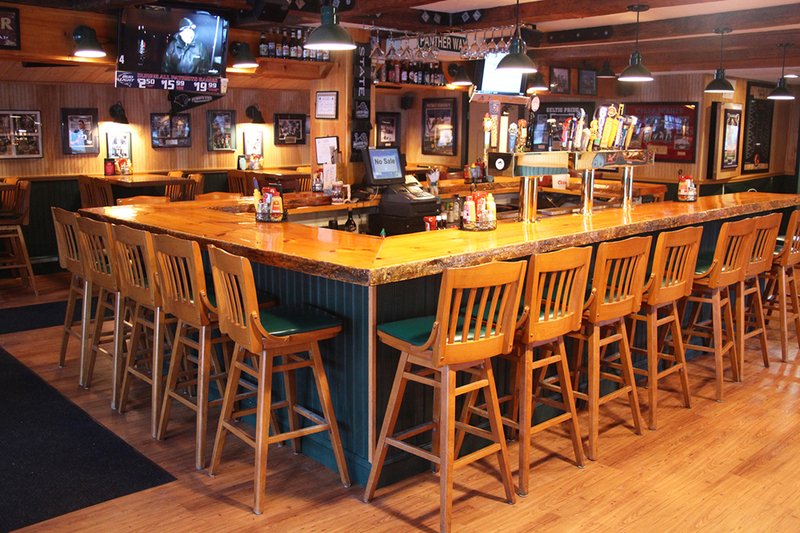 Panther Pub & Grille is the best place in Plymouth, NH to enjoy good food and drink while watching your favorite team in HD! Come by for an appetizer, burger, wrap or any of our delicious dinner entrees. Try our award winning Nachos – Voted #1 by WMUR –TV Viewer’s Choice for Best Nachos! We have great portions and very reasonable prices. Check out our Specials during the week and during Bruins, Celtics, Red Sox and Patriots games. Trivia every Wednesday starting at 8pm. Whether you are a student, resident or tourist, our friendly and attentive staff will make you feel welcome! Join us every sunday for LIVE NFL COVERAGE!